Winners, email me and I will get your information sent along to the shop owners! First up, we've got The Rusted Chain. 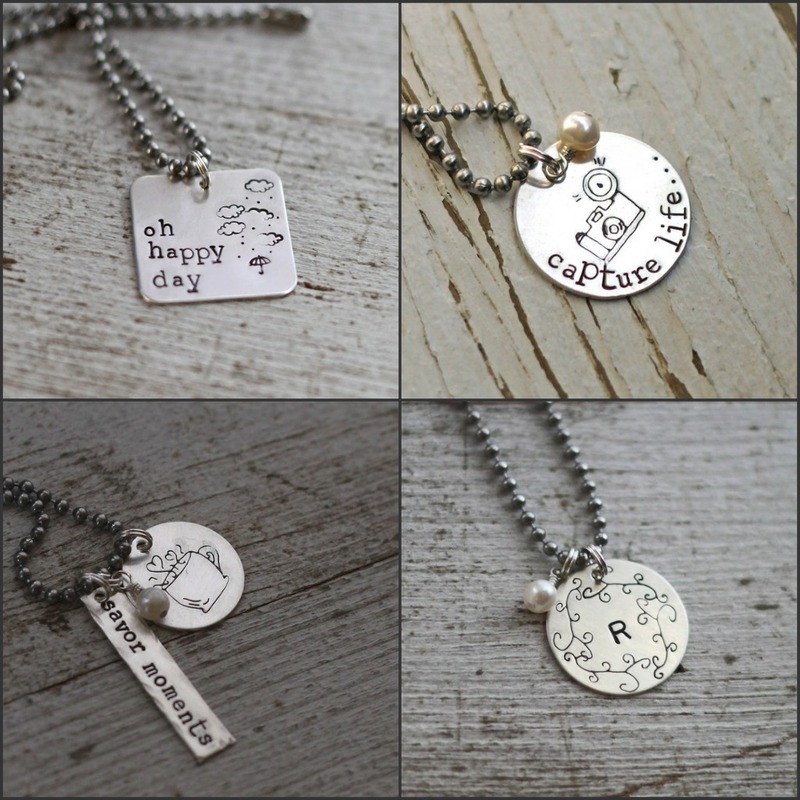 Beki sells gorgeous hand stamped jewelry that is personal, inspiring, and beautiful. Beki has been making jewelry since 2003 and it is evident in her design and quality. Just look at these beauties! I will take one of each, please and thank you :) Beki is INCREDIBLY generous and is giving away not one, but TWO $25 gift certificates to The Rusted Chain! I'm 100% jealous. Next up, we have maddynbella. Courtney is the designer behind this collection and is such a sweet and talented soul. I love her whimsical pieces and how she brings together simple and intricate design. This husband & wife duo are offering the chance to win a $25 gift certificate to their shop! Furthermore, use code OHSWEET16 to get 16% off your purchase. FUN! "Oh Happy Day" is one of my favorite sayings! Love all the jewelry at The Rusted Chain! LOVE the wooden rabbits set from three leaves toys!!! love the Hidden Meaning necklace from Rusted Chain!! i love the love grows here necklace & the honeysuckle mist necklace from the rusted chain! I LOVE the Gold Feather Leather Wrap Bracelet from MaddynBella. AMAZING! I love all the teething toys and I bet my son would too as EVERYTHING is getting chomped on by him lately!! I really like everything from the rusted chain! I would have absolutely no problem with winning a gift certificate there:)... except deciding on which necklace I want most. Oh such pretty things... I love the little mouse teether from three leaves, it would make a lovely gift for the niece/nephew joining our family early 2012! At the rusted chain I loved the anna earrings, so pretty! At MaddynBella it was a hard choice but I'm going with the I love you necklace! All three of the sponsors have such great products! I've actually been eying the MaddyNbella shop for a while. And we actually have the same name! :) I like the sterling silver feather with leather wrap bracelet as well as the black onyx and gold fill ball drop necklace! 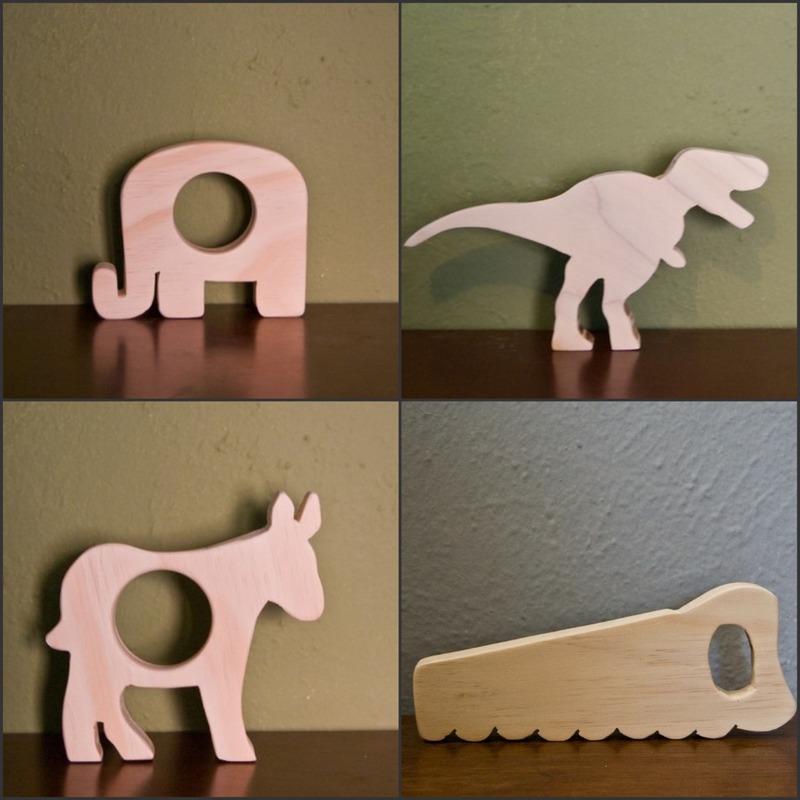 Three Leaves Toys: I would have to get the wooden dinosaur playset for my nephews! I'm loving the gold feather wrap bracelet in maddynbella! Love, love, love. The wooden rabbits play set is beyond cute, the Love Grows Here necklace is calling my name and the jewelry at MaddynBella is so pretty! 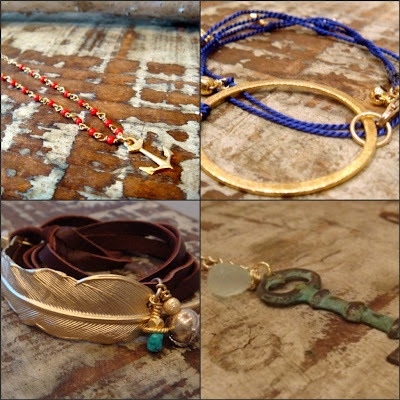 the rusted chain: yes, please...so many to choose! the one word tab necklace is standing out to me, not sure about which word though. 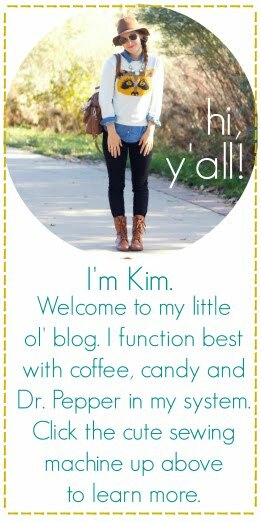 I would say I love the wooden cat from three leaves, savor moments necklace from the Rusted chain, and the turquoise leather and diamond chain tea bracelet from MaddynBella. I love the blessed necklace from the Rusty Chain! I also LOVE the Gold Feather Leather Wrap Bracelet from Mandynbella's shop! 1. three leaves toys: the elephant carving! 3. maddynbella's: love the birthstone and personalized bracelet! oh! i would love an initialed necklace! gorgeous. Love those jewelry shops! 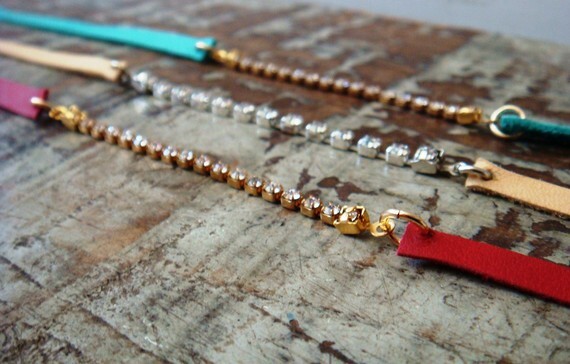 The "oh happy day" necklace from the rusted chain is beautiful! My favorite is the German Silk Wrap Braclet on Maddyn Bella! I love so many of the rusted chain pieces! I absolutely LOVE, LOVE, LOVE the German Silk Wrap Bracelet with Gold Pendant! Oh WOW! What an amazing selection! I love the German Silk Wrap Bracelet with Gold Pendant from MaddynBella! THANKS!! I dig the Lagoon cluster necklace from Maddynbella. Classy. I absolutely LOVE the "Blessed" necklace from The Rusted Chain! I also like the Penguin Teething Toy! It's adorable! I love the Angel Wing necklace by The Rusted Chain! Great shops! I adore the fish teether from three leaves. Love The Rusted Chain's necklace: Choose Happiness! Love the Inner Circle necklace by The Rusted Chain. What a fabulous giveaway!! i've got a teething 10-month old that would make good use of those wooden toys! Love the wooden farm set! Too cute. I Love MaddyNBella's Gold Feather Leather Wrap Bracelet and her I LOVE HIM Note Necklace!!!! Gahh so beautiful! I love EVERYTHING at the Rusted Chain! :) I also love those wooden toys- they would be great for my almost 2 year old. Oh I love the Est. Necklace from Rusted Chain! And Sophie has some Three Leaves Toys and I highly recommend them! I have some of the rusted chain pieces already and I'd love to have a necklace w/ both of my kids names :) Thanks for the chance to win! I love the Tiny Black Onyx and Gold Fill Ball Drop Necklace from Maddynbella.